Influenza Activity in the United States continues well below what might be normally expected this time of year, as shown by this week’s FluView report. Only three Southeastern states (Alabama, Mississippi, and Georgia) are reporting regional outbreaks, with surrounding southern states reporting local outbreaks. The most active areas of pandemic influenza transmission continue to be in Southeast Asia and West Africa. Limited data suggests that pandemic influenza activity may be increasing across parts of Central America and the Caribbean. Low levels of pandemic influenza virus continue to circulate across southern and south-eastern Europe and in East, West, and South Asia. 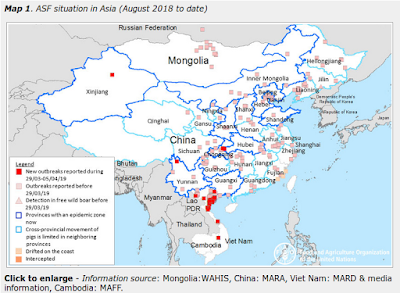 Although pandemic influenza virus continues to be the predominant influenza virus circulating worldwide, seasonal influenza B viruses are predominate in East Asia, and have been detected at low levels across southeast Asia and eastern Africa. For the full report of the latest US data, visit the weekly FluView update page. Here are a few excerpts. During week 10 (March 7-13, 2010), influenza activity remained at approximately the same levels as last week in the U.S.
200 (5.6%) specimens tested by U.S. World Health Organization (WHO) and National Respiratory and Enteric Virus Surveillance System (NREVSS) collaborating laboratories and reported to CDC/Influenza Division were positive for influenza. All subtyped influenza A viruses reported to CDC were 2009 influenza A (H1N1) viruses. The proportion of deaths attributed to pneumonia and influenza (P&I) was below the epidemic threshold. Two influenza-associated pediatric deaths were reported. One death was associated with 2009 influenza A (H1N1) virus infection and one death was associated with an influenza A virus for which the subtype was undetermined. The proportion of outpatient visits for influenza-like illness (ILI) was 1.8%, which is below the national baseline of 2.3%. One of 10 regions (Region 4) reported ILI above its region-specific baseline level. No states reported widespread influenza activity. Three states reported regional influenza activity. Puerto Rico and eight states reported local influenza activity. The District of Columbia, Guam and 31 states reported sporadic influenza activity. Eight states reported no influenza activity, and the U.S. Virgin Islands did not report. WHO and NREVSS collaborating laboratories located in all 50 states and Washington, D.C. report to CDC the number of respiratory specimens tested for influenza and the number positive by influenza type and subtype. The results of tests performed during the current week are summarized in the table below. During week 10, 7.3% of all deaths reported through the 122-Cities Mortality Reporting System were due to P&I. This percentage was below the epidemic threshold of 7.9% for week 10. Two influenza-associated pediatric deaths were reported to CDC during week 10 (Oklahoma and Texas). One death was associated with 2009 influenza A (H1N1) virus infection and one death was associated with an influenza A virus for which the subtype was undetermined. The deaths reported during week 10 occurred January 31 and February 27, 2010. Nationwide during week 10, 1.8% of patient visits reported through the U.S. Outpatient Influenza-like Illness Surveillance Network (ILINet) were due to influenza-like illness (ILI). This percentage is below the national baseline of 2.3%.